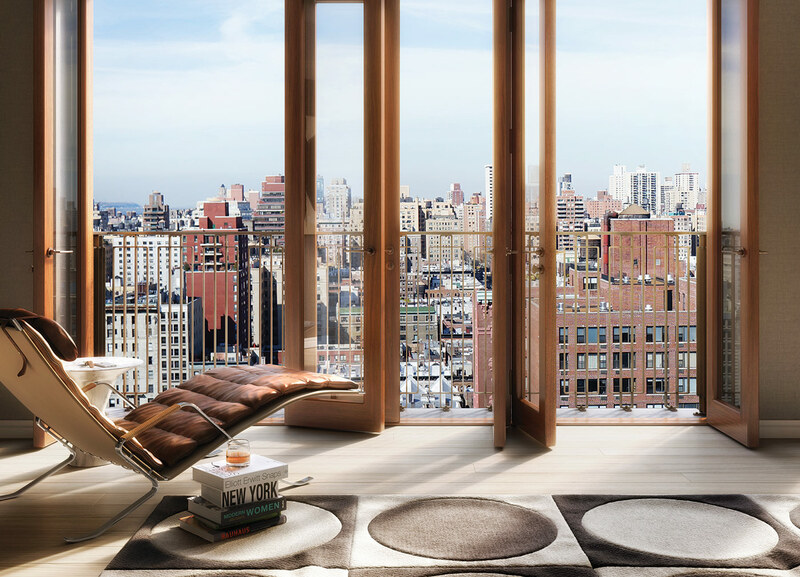 210 West 77th Street rises eighteen stories above the Upper West Side, one of the most sought after neighborhoods in Manhattan. 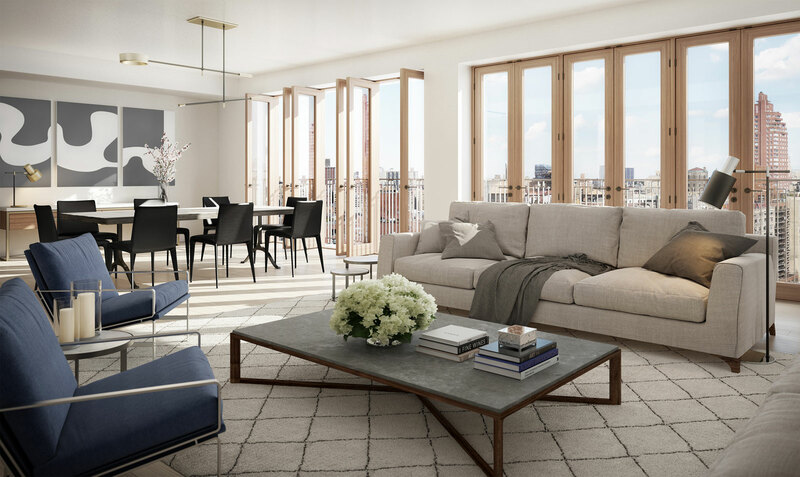 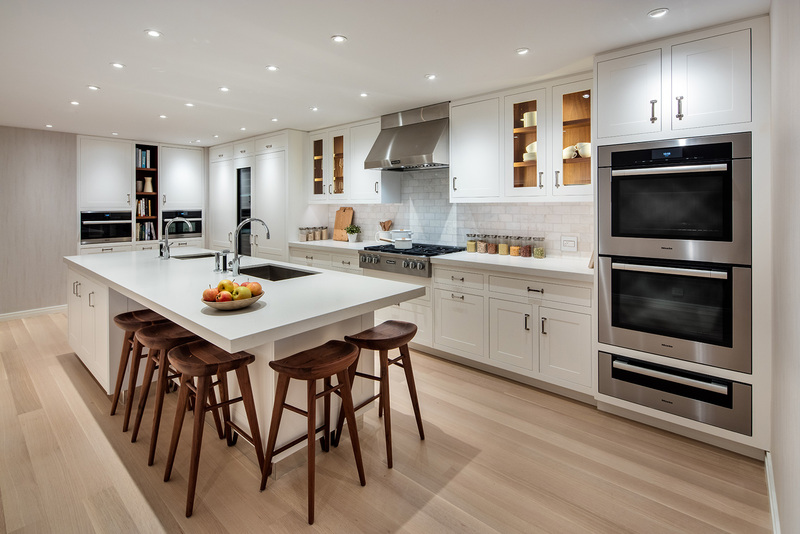 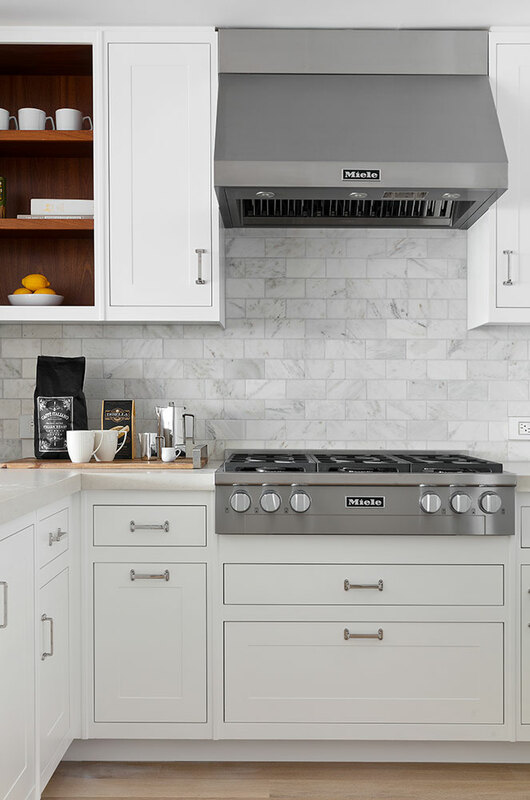 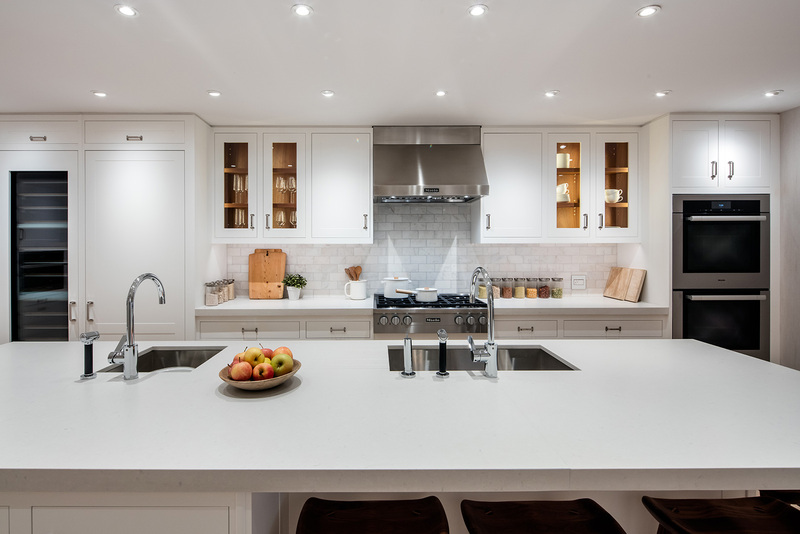 Designed by Thomas Juul-Hansen to fit perfectly among the classic buildings of the Upper West Side, while maintaining its modern vision- the exterior sings with cascading terraces, textured brick and flourishing of mahogany trim around full-length French doors. 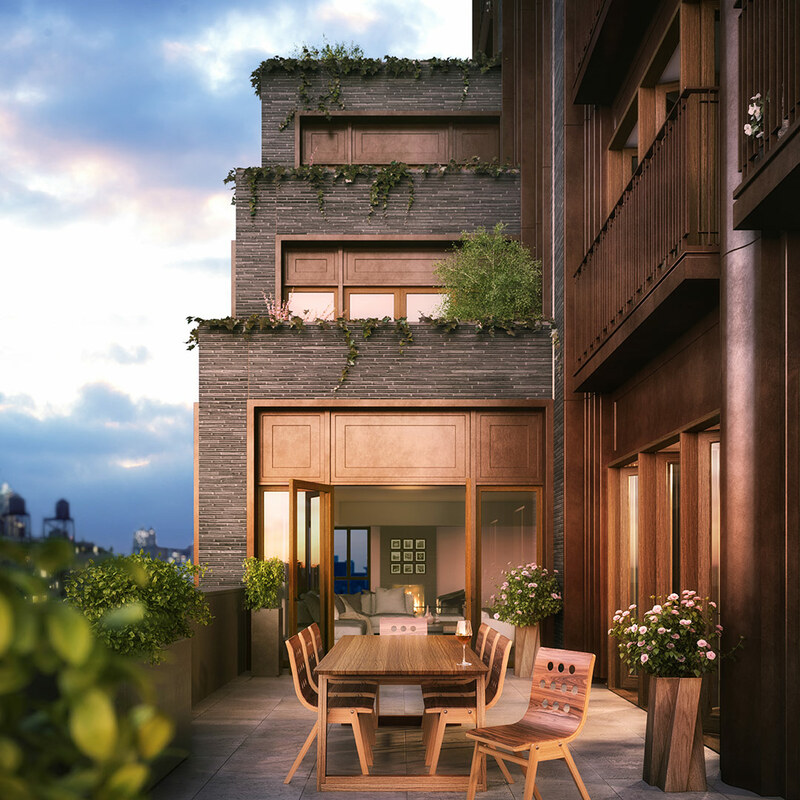 Private, set-back terraces accented with handmade Danish brick and bronze metal highlights the intricate detail of the façade. 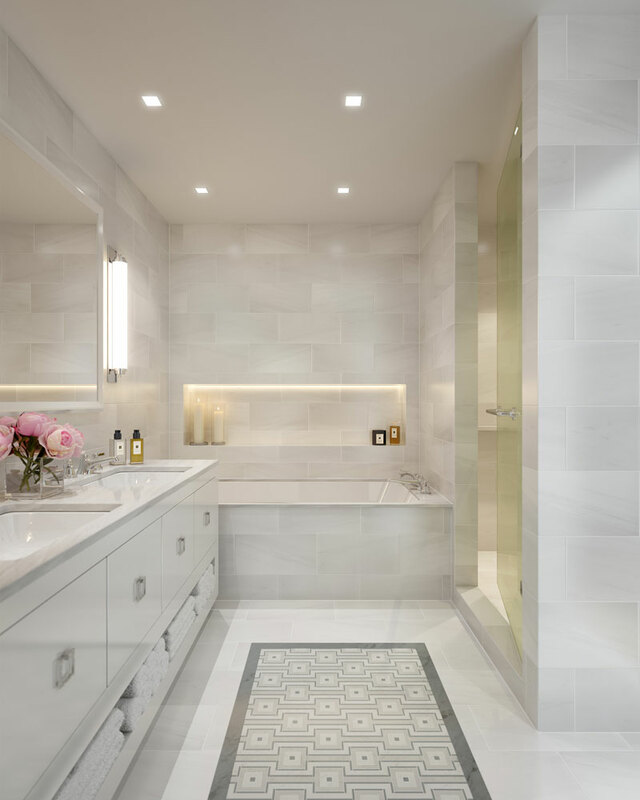 This luxurious boutique residence marries an exterior of powerful, yet inviting simplicity with an interior of handcrafted finishes. 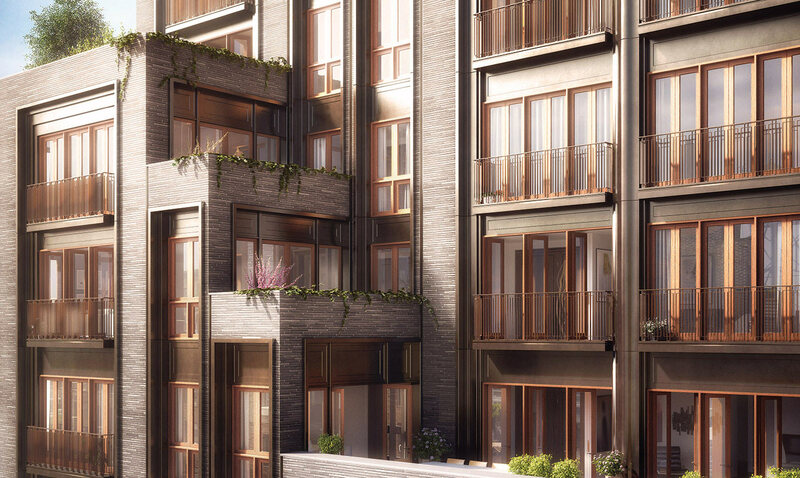 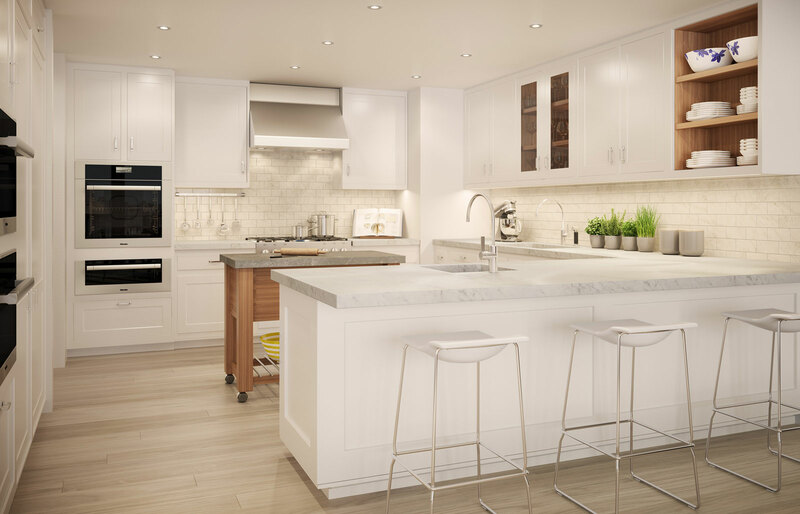 Comprised of twenty-five, half- and full-floor residences that range from three to five bedrooms, including two townhouses and an extraordinary penthouse, all featuring private key-fob elevator entrance and Juliet balconies. 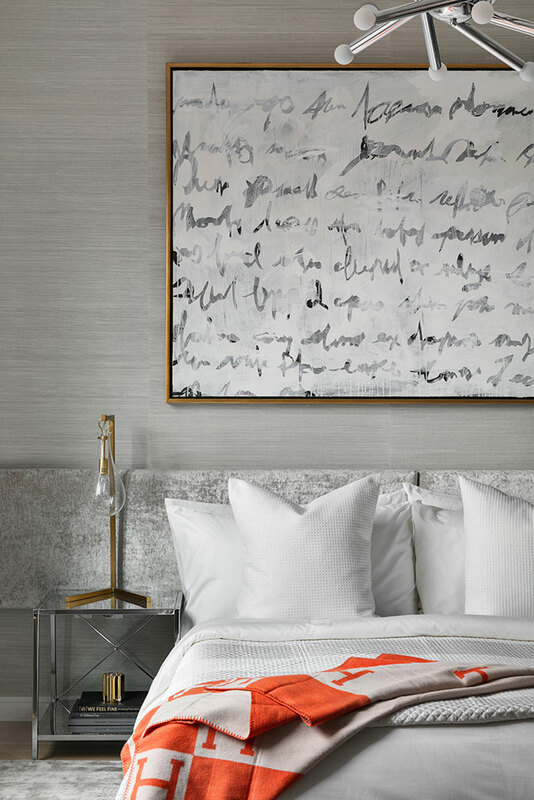 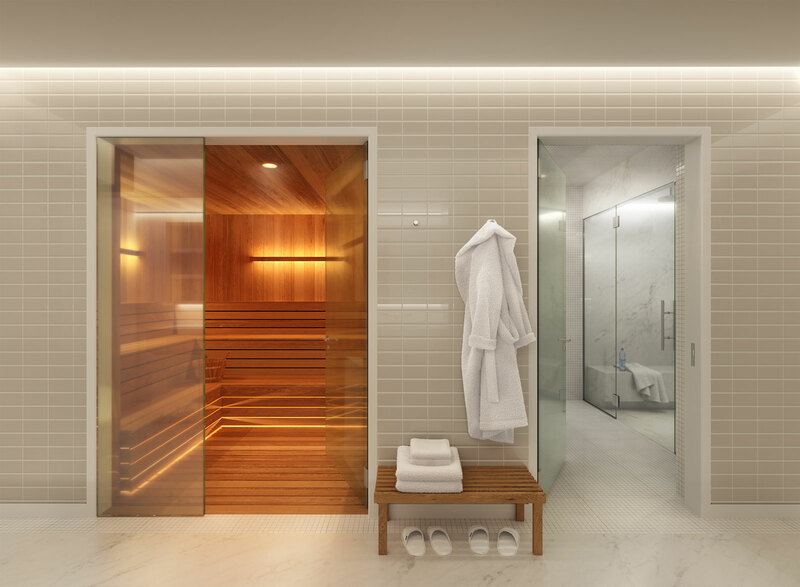 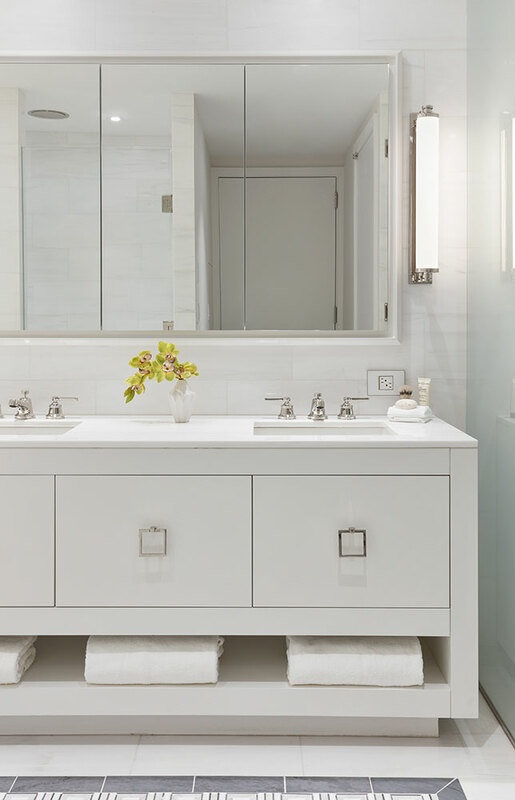 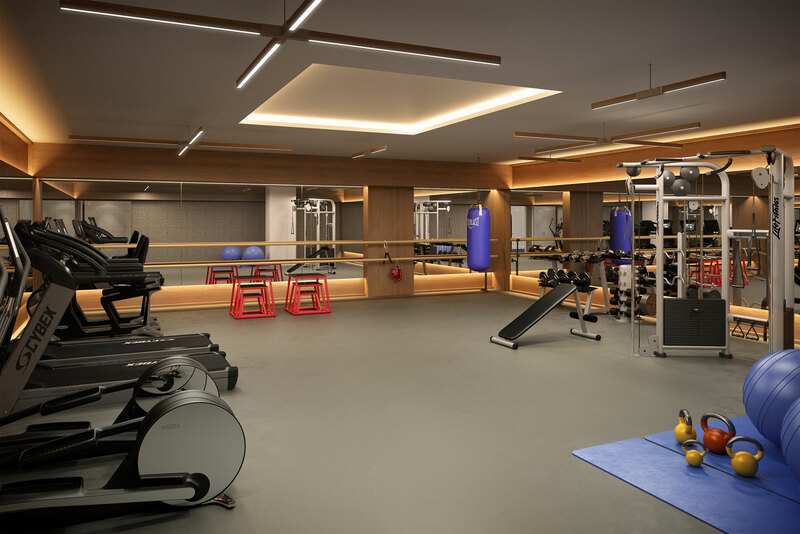 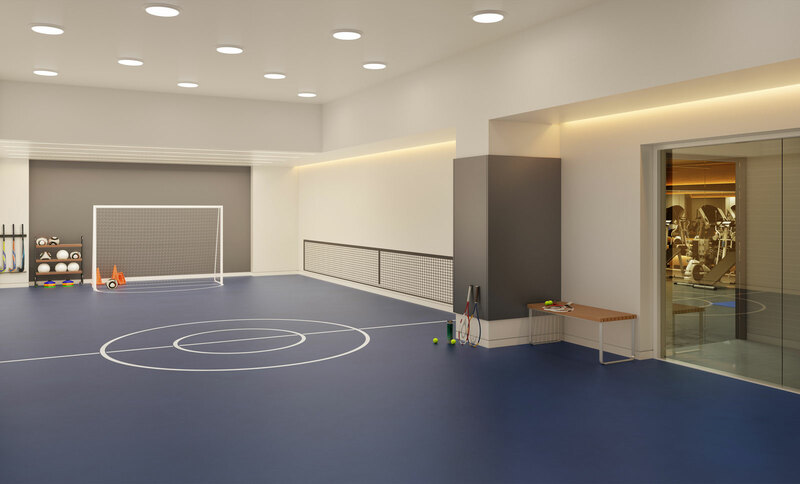 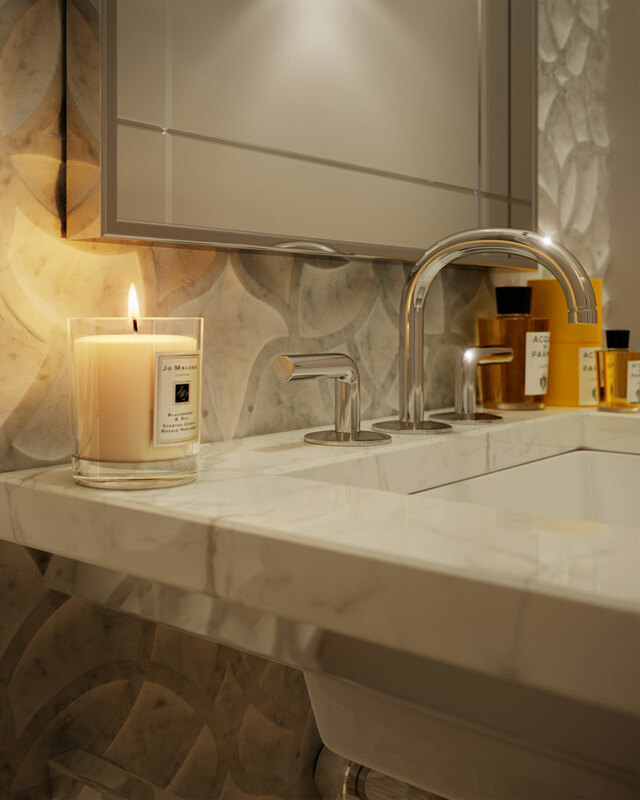 Unparalleled amenities include a 24-hour doorman and virtual concierge services, a sports court, a state-of-the-art fitness center and private spa with a cedar lined sauna and two marble clad steam rooms. 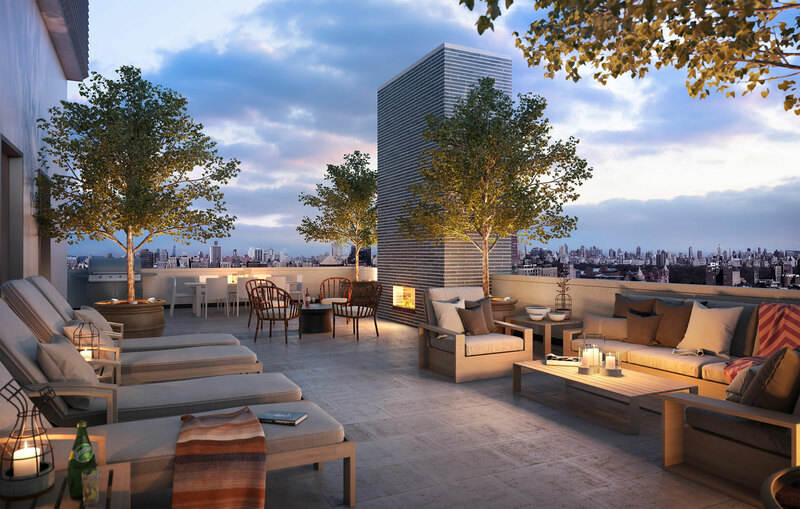 Residents enjoy an incredible roof deck with astonishing views of central park while enjoying the outdoor gas fire pit and grill. 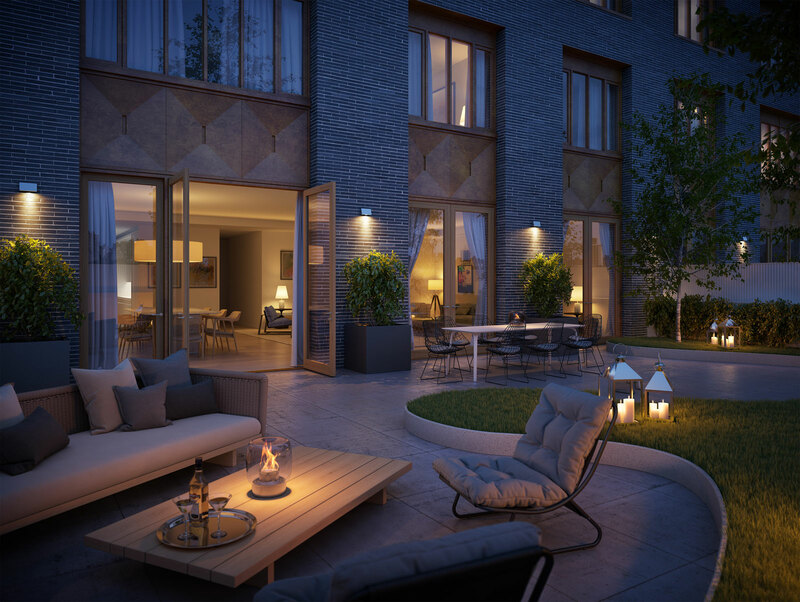 Private parking for select residences to enjoy the ultimate privacy and convenience.